Great podcast! I love listening to you guys every week, but I do have one minor gripe. All of the auxiliary noises are killing me, the constant click clack of loud typing, and the banging/dragging of bowls? Or maybe it’s mugs being set down on a desk. It’s nothing too major but it drives me insane and distracts me from what you guys are saying when it happens. I can't get enough of this podcast. I look forward to my commute on days of a new episode. I enjoy the point of views of the hosts and feel they are fair and enjoy the game as much as I do. On top of it I sometimes learn something I didn't know about the game. For the horde! I absolutely love the show! Content is great and helps keep me informed about what’s going on with WoW. Audio could be better though. I look forward to listening to the show on my commute, but more often than not I have to turn it off because I can’t hear what’s being said. Please fix!! I love this podcast. It’s the first one I’ve ever listened too and now I’m hooked! Starman and Renata are a great team and I love the dynamic between the two. Keep up the good work! That’s how a 3-star rating is characterized here, and seems to fit. Content is mostly good, but the audio leaves some to be desired. Different levels for the speakers, and a MARKED difference from the show open. The spoken audio is overall soft, so if you turn it up to be able to hear it, then the music comes in and blows your speaker/headphones. Just listened to an episode with multiple people and some you could hardly hear at all. So overall, it’s OK. I only listen to the show if Renata is on, starman is ok but he complains way to much , and if anyone other than Renata is on they spend there time feeding into his pity party . She’s the best part of the podcast and tries to offer two sides to every thing. 10/10 Renata making warcast great again . I haven’t played WoW in forever, but when I did, I listened to this podcast. Now, I’ve started again, and years later, they’re still here! Love that. Great show, great hosts. Mike and Ren do a fantastic job every week talking about all things Warcraft. I quite enjoy listening and always look forward to the next episode! Keep it up :) and thanks for all you do! Overall the podcast is ok. I feel that with BFA’s upcoming release that is a huge opportunity to talk about the new content, class changes, opinions, warfronts, expeditions, etc. I wish they would focus more on providing information and less on what they are doing with their personal characters, or what’s going on in their personal lives. They often go off on tangents, then we are halfway through the episode and I have learned nothing. I listen to the podcast to hear about upcoming features and to learn more about the game and how to be better at it. This podcast does not really help me improve as a player. After 3 year break, Warlords...ugh. Love this podcast! Listening to Mike and Ren is very entertaining. Their content is informative and fun. Thank you and keep up the great work! My new goal: be a guest co-host. I love love love this podcast. I listen every day. I enjoy the banter, Mike's news segments and walk-throughs and Ren’s bouts of excitement over (battle)pets. I have learned a lot in the last year I’ve listened my to their podcast. It's like listening to (or being in) a conversation. This podcast is great. One of my favorite things is to spend upwards of 50 minutes listening to people who know pretty much nothing about the topic they are talking about just ramble on. It’s awesome. Can’t get enough. Couldn’t listen to more than 1 episode though. First one I listened to gave me cancer and I am dead now. I’m a new listener to the podcast and to be brutally honest, I wasn’t too impressed. Nothing about the podcast made me wanna continue listening. The 2 podcast hosts have a very monotone and dull voice and show little excitement or enthusiasm. The content isn’t really there either. Unlike other podcasts, they don’t really talk about news and rarely have any guests that come on. Nothing about this podcast makes me wanna listen anymore. Love you guys! It’s so hard to find good WoW podcasts in the more chat like format. Listen to you all while taking my 4 year old to school in the mornings and while cleaning! First time ever listening to podcasts and I have to say I thoroughly enjoy your show. The interaction between you two is wonderful and it feels much like the conversations we have with friends. Keep it up and I'll keep listening. I'm not entirely sure what to think about this podcast. The female co-host (Ren, I think she calls herself) sounds like Velma from Scooby Doo if Velma lived to be about 170 years old. I think that she would really benefit from a higher-quality microphone and audio system. The male co-host (no idea what he calls himself) sounds like he's just "phoning it in", like he grew uninterested in World of Warcraft about seven or eight years ago and is still playing (and doing a podcast) because he hasn't found anything better to do. 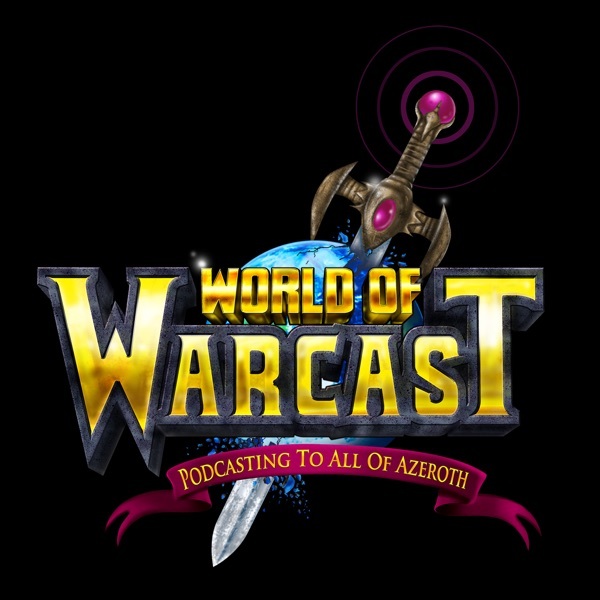 If you're searching for an enjoyable WoW podcast by people who really enjoy the game I highly recommend For Azeroth!, a fairly new podcast that has been around for about half a year or so. I'll listen to a few more episodes of this one and see if it improves any before passing final judgment, but at this point I just do not see myself subscribing and looking forward to each new episode like I do with other podcasts. I've sorted through all WoW related podcasts and this is the one I kept. Love it! Starman and Ren carry on enjoyable discussion while producing one of the few programs that still focuses on gameplay. Obviously motivated by enthusiasm for the game, they bring a sense of wonder and discovery that many others have lost. Please consider bringing back class round tables! I subscribed to this podcast a couple month ago because I enjoyed the episode I listened to. Lately all I hear about is this guys Mage and his personal stories in WoW. What keyboard he bought, what moves he has on his mouse keys, how he messed up his bank alt transfer... His cohosts attempt to steer the conversation to something more productive for the community then seconds later we are hearing about him running old content for a mount he wants. There definitely has been some great episodes, but recently it hasn't been very informative. It's like "Welcome back Kotter" and better than ever! I have been listening to this podcast since October 2006 and I'm glad to see it return with both original hosts. I also like the guest hosts as well. Since the hosts and I have played World of Warcraft since the vanilla days I can relate to their experiences within the game. Although I've logged over 110 days of playtime on my main character I would consider myself a casual player because of my sporatic play times because of my intense work and travel schedule. I appriciate the time and effort that the hosts put into researching the podcast. Keep up the good work!!! This isn't just an opinion show, I've learned something useful every week. Thanks for the show! Always enjoy this podcast. Some people don't enjoy when you guys are negative on some things, but I think you pick apart the different issues in the meta very well. Excellent discussions with pragmatic views! I've played WoW since '06 and have just recently discovered podcasts about the game. They've all been good but I find this one to be "down to earth," your feel good WoW podcast! Keep up the good work! Just listened to some of episode 217, not impressed. I understand you guys are casual now, as a lot of people are, including me, but at least get a general understanding of how this expansion works before complaining about it on your show. I had to stop listening after Michael(? Didn't introduce yourselves) started complaining that his group leader in his MYTHIC group didn't tell him about a certain boss mechanic causing a wipe. Again, it is a MYTHIC. If you have never done the normal or Heroic why are you in the group. And if you do need refreshed on a boss fight just open up your Adventurer Guide. One more thing. People arent picking you for mythics because your ilvl isn't high enough. It's nothing personal so don't take it that way. If they put 840+ that is just to weed out people below that may try to apply. It doesn't mean you have a guaranteed spot in the group. The group leader is looking at the rest of the group and deciding what will work best for the dungeon at hand. He might get an 840 and then realize he has to offset the low DPS with an 860. It's all situational, but in the end the Mythic group finder is the best step back towards Vanilla WoW we have gotten in years so please don't bash it just because your feelings are hurt that you got picked last. Finally a tip. If you continually get turned down for mythics that means you need to get more gear from World Quests first. Please do some research before making another one of these. You are spreading hate in the WoW community. Thanks! I got into wow about 2 years ago and this is my first real expansion for this game. Since I am so new into the game and I am noob to a lot of things, I discovered this podcast and I really enjoy the discussion and experience that I can relate to. I look forward to the new episode every week. Glad I found this podcast to listen to about discussion of Legion. Can't wait to see that fox Renata, with a fox tattoo, riding a fox! Awesome podcast! Great podcast!!! I'm glad you guys are back at it. #"chalk"-full_of_triggered. This is my first review of a podcast and I felt that I needed to chime in on this because I really enjoy this podcast and have enjoyed it for years. How anyone could consider the pod casters negative just boggles my mind. I love WoW and have been playing since vanilla and I am the first to admit that the game is not perfect. It has a host of problems and issues, anyone who checks the official forums will see complaints in the multitudes. I myself have many complaints but it doesn't stop me from playing and doesn't stop WoW from being my favorite game even after all these years of playing. The pod casters have issues with the game just as most of us have and are only voicing their opinions and trying to come up with solutions that can fix the problems they and most of us are having. It is obvious that they are still playing the game and playing it often. These people writing negative reviews are just trolling because there is nothing wrong with this podcast and certainly nothing wrong with the casters. As a closing thought, would love to see Patrick Beja drop in more often as I enjoyed him here much more than that horrible Instance podcast. Glad to see this podcast return! I was a listener from the beginning and am happy to see these two back as hosts. I'm an avid listener of wow/Blizzard related podcasts and have been for years.... I've never written a review before... I didn't even know how to until the most recent episode of World of Warcast with the title having to do with crack dealing. This episode left me triggered so much that I felt compelled to let everyone and the hosts know how depressing this was for me! One would think someone who is dedicated enough to create a podcast about a game would actually like said game... But I didn't get that feeling at all. I've never listened to Warcast before (and I will never again) but this latest episode was chalk full of negativity about the game so much of us love. I honestly don't know why they even play with all of the complaints they have! Stop paying the sub fee and please stop creating negativity. Perhaps they don't realize they are this way and hopefully this is an eye opener for them. In my opinion this is by far the greatest start to an expansion ever. Even more so than wrath! Been playing since BC... For the Horde!!! So flippin glad this came back. Especially with Renata. This show has been a hallmark of my wow experience over the years, and i love hearing both StarMike and Renata bounce back and forth off of eachother. You guys sound re-energized and overall its just a nice feeling to hear you guys talk from my speakers again. best of luck to the both of yo, and i hope you stick around. More like "world of whinecast"
Just a bunch of complaining from people who don't even understand the game well it seems. The recent whining about flight, terrible arguments and the comical and baseless conspiracy theories about it have just been unbearable. Maybe try to have someone who actually understands game development on the show to talk about it, eh? It's obvious you guys don't know anything about it. It's basically "general forums: the podcast". I used to be a fan of the show, but it has gone way downhill. Seriously you guys need to stop crying like little spoiled babies who lost their binkie.